There are cookbooks that should be in any foodie library. For sure Internet is a great tool and tons of recipes can be viewed online, but there is nothing like a good cookbook to see, learn and love. The Yummy Bull team has selected our favorite ones for you. Rohan Daft is a culinary experte and British , in that order . Lover and connoisseur of Spanish culinary restaurants, bars and cafés all around Spain, pays homage to them in this book written with precision and humor . ‘Menu of the Day (Simon & Schuster) collects the best of traditional Spanish cuisine through 100 authentic and classic recipes , many of them chosen from the set menus of restaurants who keep according to Daft ,the true essence and richness of food in this country . And not without reason. It describes the ingredients in English and tricks to make a real salmorejo a cocido madrileño , beans with clams, garlic chicken or tocinillo de cielo , among other dishes . An entertaining and funny book written by a lover of our gastronomy. For someone who likes to cook cakes and pies , this book will be their bible. 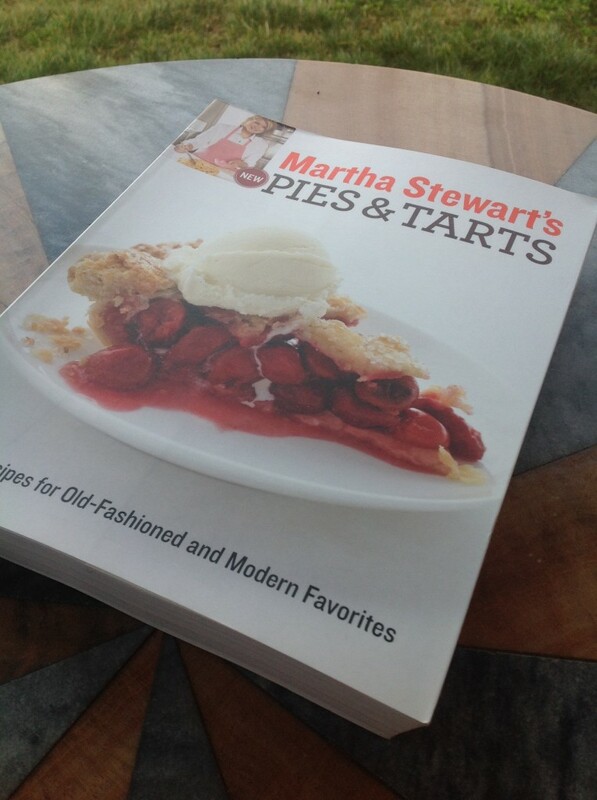 ‘ Pies & Tarts ‘ written by Pastry guru Martha Stewart, delights with more than 150 recipes for traditional and modern cakes, with all the flavor of fresh American cuisine, delights with Rustic or polished look, but full of color and flavor. Amazing Panna Cotta cheese tartlets and raspberry , authentic lemon meringue pies , scones and strawberry rhubarb , plum or pumpkin pies … A ‘ must- have’ for every sweet teeth foodie and chef. I do not know if fashion burgers of all kinds has been born to stay or they will be old fashioned soon. In any case, it is always a good solution for a casual lunch or dinner, especially if they are homemade and prepared with high quality ingredients. 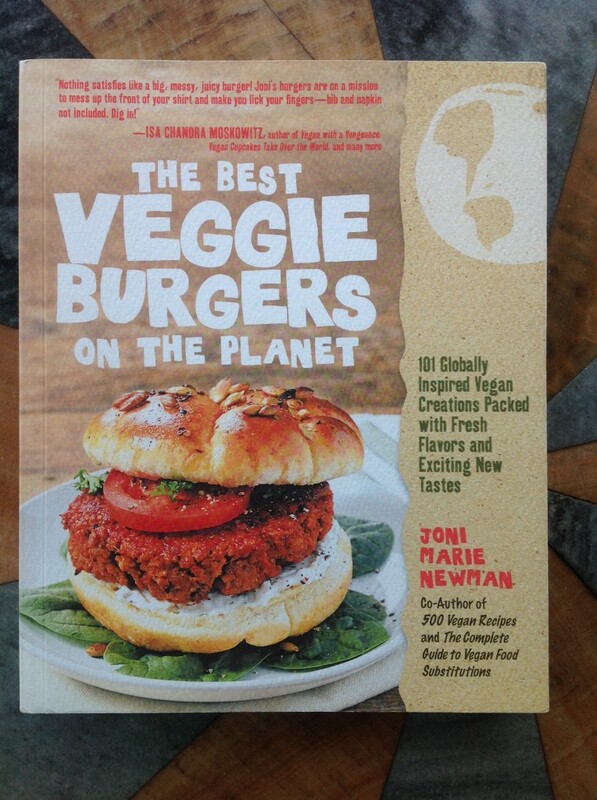 ‘The best veggie burgers on the planet’, from Joni Marie Newman, contains 101 recipes for veggie burgers around the globe. It is a curious compendium, not only because It´s always challenging to prepare many types of burgers without meatt, but because you can find here exotic ingredients, sauces and different breads, so you can always findideas for your own creations. 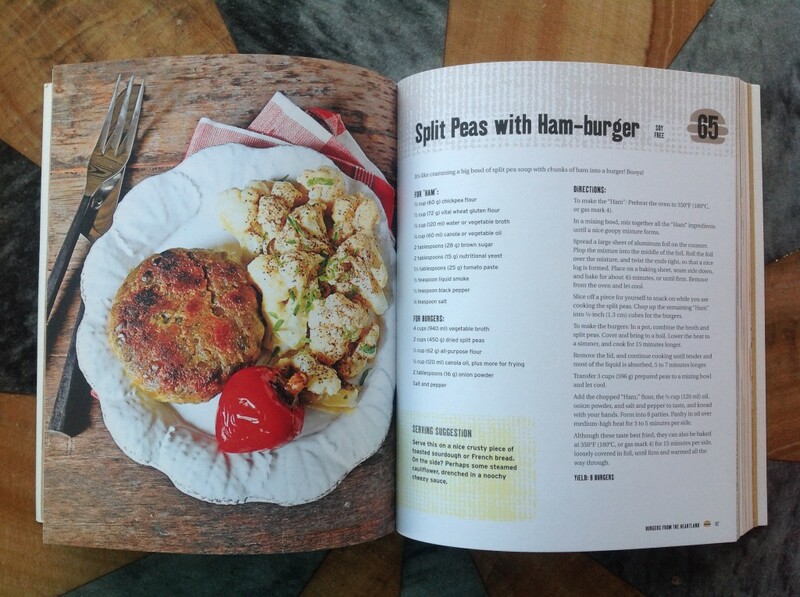 The recipes are simple and the veggie burgers look really appealing on the photos. A healthy and fun option! 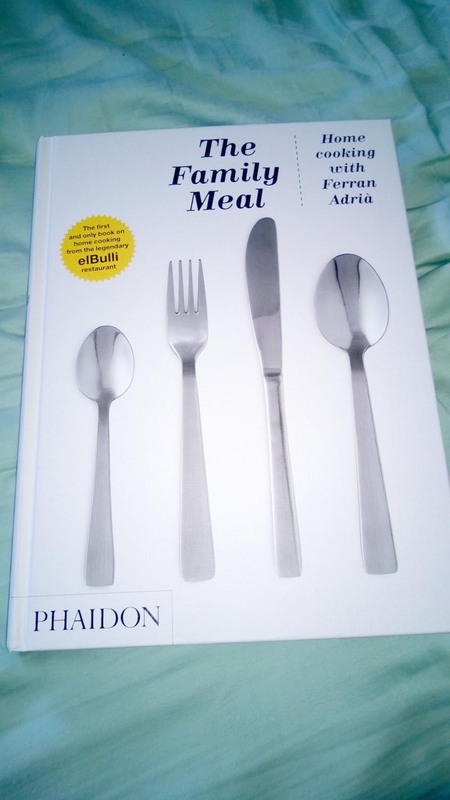 This is a great book of Adria factory, recommended for home and professionals chefs. ‘ The Family Meal ‘ is a collection of menus that El Bulli staff ate before the evening service from 6:30 to 7:00 pm (a brigade of 75 people) . These recipes are much closer to the Earth than to the El Bulli creative cooking sky . Remarkable for being a basic guide to the preparation of bases, such as stocks, funds and sauces that can be made in bulk and stored frozen to save time and money. It also gives the keys to those engaged in cooking professionally. An example : the recipe for a pork loin rescued grilled with roasted peppers . 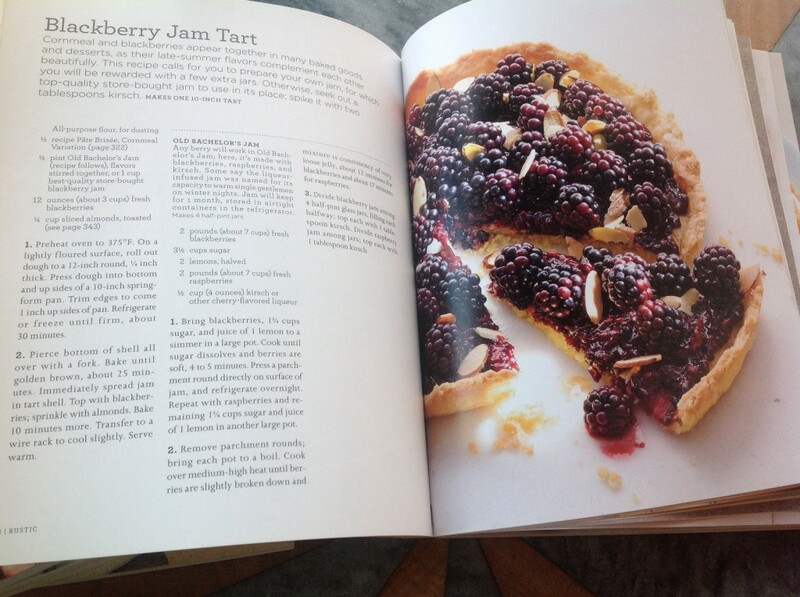 The book details the ingredients , whether it’s for two, and six , and for 20 and 75 people. Illustrated with step by step photos and giving to you the time frame that you´ll need to prepare the whole menu It´s a real cooking jewel! 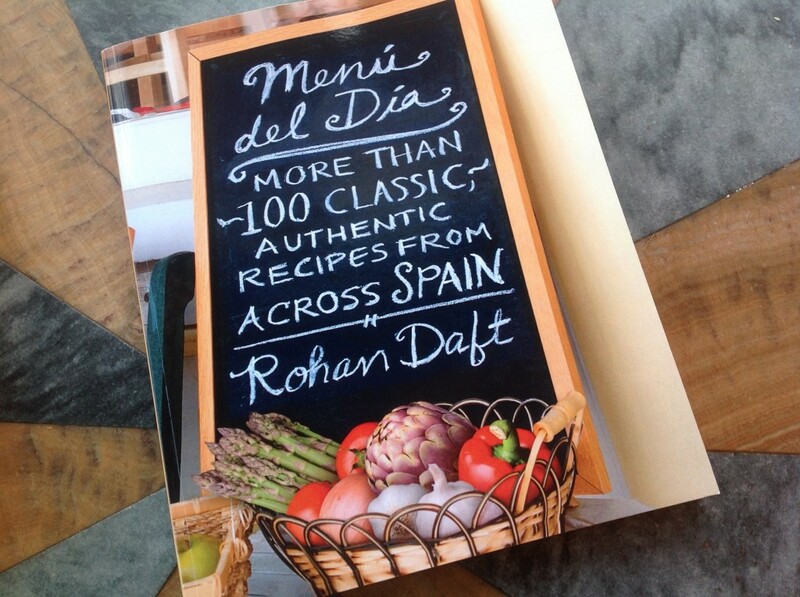 And the edition is so beautiful that I won´t dare to scrap on it as I usually do with my cookbooks. 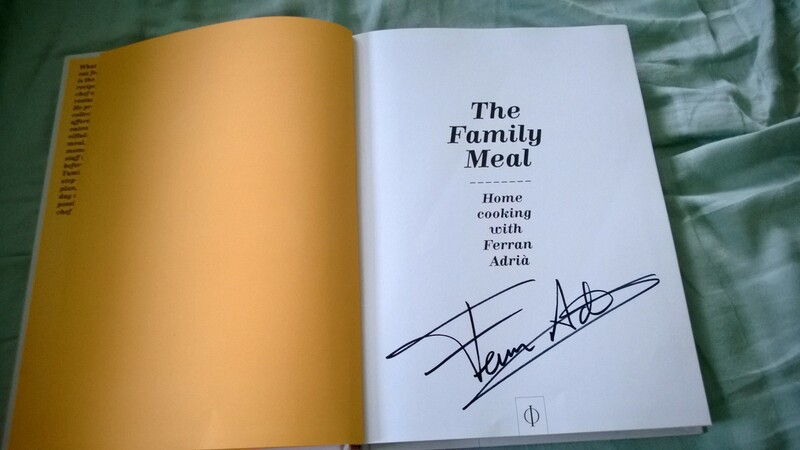 Yesterday I could grab a dedicated one at Town Hall Ferrán Adriá conference organized by Fremont cookbook store Book Larder. But you´ll find more copies in this bookshop too. Posted on March 10, 2014, in Uncategorized. Bookmark the permalink. Leave a comment.